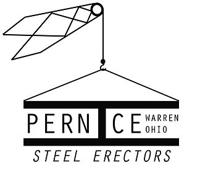 Pernice Steel Erectors specializes in the erection of pre-engineered steel buildings and roof systems along with the ability to install anchor bolts and specifically engineered foundations. Our team erects pre-engineered buildings, lays foundations, and builds roofs that are made to withstand virtually any weather condition. We also offer commercial site work and concrete finish work for factory-direct pricing in the Cleveland area. Not only do we take the utmost care in making sure that the infrastructure is rock solid, but also professionally adhere to proper safety guidelines and regulations. Pernice Steel Erectors will gladly install a building that you have already purchased or order one for your specific needs. We work with your architect or engineer to meet your needs and local building codes. 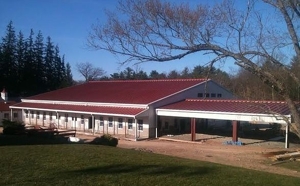 Our talented team can also install standing seam roofing and offer foundation engineering services. Once the project is defined, we provide you drawings and a quote for your consideration. Each customized building is produced with the highest quality components. Pernice Steel Erectors offers long lasting value and maintenance free protection.We work with highly skilled partners and crews, and we provide competitive pricing for all construction services. You will find the best quality warehouse buildings you have even seen. We have idea solution for warehouses, metal garage. We design and provide steel structures of any capacity within your project requirements. Pernice Steel Erectors is Insured, Bonded & Meets BWC Requirements. Call (234) 254-3281 Today!